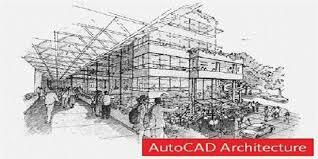 AutoCAD Architecture (abbreviated as ACAD) is a version of Autodesk's flagship product, AutoCAD, with tools and functions specially suited to architectural work. Architectural objects have a relationship to one another and interact with each other intelligently. For example, a window has a relationship to the wall that contains it. If you move or delete the wall, the window reacts accordingly. Objects can be represented in both 2D and 3D. In addition, intelligent architectural objects maintain dynamic links with construction documents and specifications, resulting in more accurate project deliverables. When someone deletes or modifies a door, for example, the door schedule can be automatically updated. Spaces and areas update automatically when certain elements are changed, calculations such as square footage are always up to date Think CAD, it is Premier CADD!! Premier CADD training services in mysore is a CADD CENTER with an enviable track record of 20 years in the field of CADD, covering training on software’s like AUTOCAD, REVIT, 3DS MAX, REVIT MEP, CREO, CATIA, INVENTOR, FUSION 360 and not to mention PLM concepts.